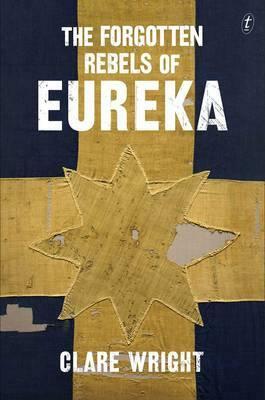 There’s an excellent article by Zora Simic on The Conversation website that locates Clare Wright’s much acclaimed book Forgotten Rebels of Eureka (see my review here) within other feminist Australian histories over the past forty years. She refers specifically to three other books that sit here on the shelf beside me. The first, Damned Whores and God’s Police by Anne Summers was published in 1975 (while she was still a doctoral student!) 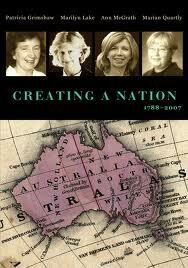 with the subtitle “The Colonization of Women in Australia”. This subtitle was dropped from the 1994 and 2002 revised editions. Its republication decades apart is significant. The 1994 version included a new introduction and a controversial epilogue “Letter to the Next Generation”. The 2002 edition included all the material from the first and second editions and a timeline of achievements by Australian women 1788-2001. 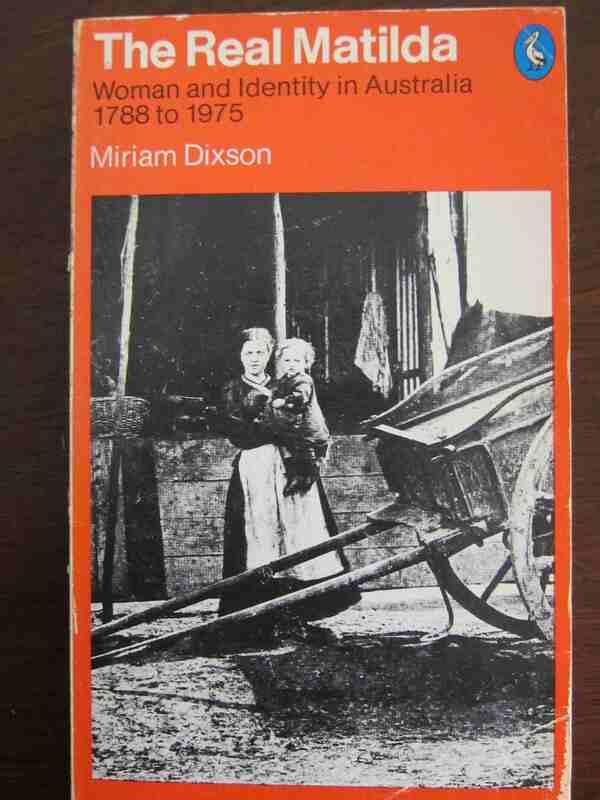 The second is Miriam Dixson’s The Real Matilda: Women and Identity in Australia 1788-1975. It, too, has gone through several editions. 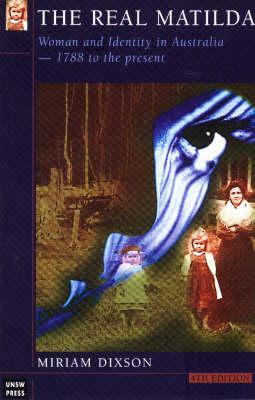 It was published in 1976, revised in 1984 with a third edition in 1994 and a fourth in 1999. By the 1999 edition it had grown by two chapters, along with a new introduction. When Ann Curthoys wrote a twenty-year retrospective review of four foundational feminist Australian histories for Australian Historical Review (Vol 27, No 106 pp 1-13) she noted that the the book had an open engagement with international theoriests, with a heavy emphasis on the early colonial period. However, she was struck, twenty years after its publication, by the emphasis on women’s passivity. 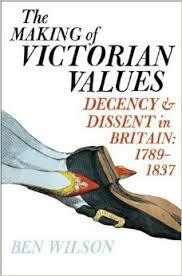 Curthoy’s review also examined Damned Whores and God’s Police, Beverley Kingston’s My Wife, My Daughter and Poor Mary Ann which examined the unrecognized work of women in the home, and a book I had not heard of- Gentle Invaders which focussed on the regulation of women’s wages. Curthoy’s article is a good one, and worth looking up if you have access to it (bring out your State Library of Victoria card, people, and read it online). Zora Simic’s article here is not unlike it yet another twenty years further on. 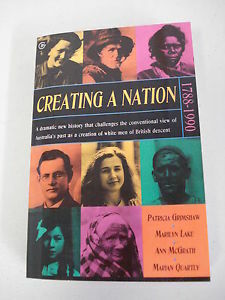 Finally, Simic locates Clare Wright’s book alongside the 1994 book Creating a Nation, co-written by Patricia Grimshaw, Marilyn Lake, Ann McGrath and Marian Quartly and republished in a second edition with an additional chapter in 2006.. In Ann Curthoy’s survey article she had been particularly surprised by the absence of discussion of race in the four texts she reviewed, and this book directly challenges this by the integration of Aboriginal experience into their analysis, with three chapters devoted to this often-dismissed aspect. It certainly starts dramatically, with an Aboriginal woman going into labour on the beach in 1791. This imagery is carried throughout the book, giving a new meaning to “the birth of a nation”. I was prompted by Simic’s review to read Curthoy’s article just after reading that the gender pay gap in Australia has soared to 18%, the highest in 30 years and since data was collected. I noted with interest that Curthoy’s survey article made much of the context that the four books she examined were written i.e. in the early 1970s, during the Whitlam government and at a time of rapid increase in female enrolment at universities. 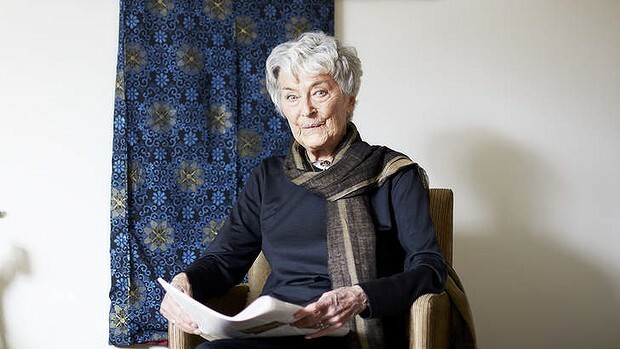 She wrote of the limitations of Gentle Invaders, written by two authors who had met in the heady days of the Womens Electoral Lobby, preparing the case for a minimum wage for women in the 1974 National Wage Case. On a day when I also read about the threat to the Renewable Energy Target and the further relaxation of 457 visas, all that seems such a very long time ago. Ann Curthoys “Visions, Nightmares, Dreams: Women’s History 1975” Australian Historical Studies Vol 27, Issue 106 pp 1-13. When I read this interview by journalist Jana Wendt with Inga Clendinnen – my most revered historian- I didn’t know whether to smile or weep. To be honest, I did both. My response on learning of her recent death is here. The documentary was created and co-written by Clare Wright (whose book The Forgotten Rebels of Eureka I reviewed here) and features interviews with Janet Butler (who wrote Kitty’s War the much acclaimed study of Kit McNaughton, who features as one of the six characters in this documentary, and reviewed here), Marina Larsson (who wrote Shattered Anzacs, reviewed here) and Bart Ziino (whose presentation to the recent Royal Historical Society Conference The Other Face of War: Victorians and the Home Front I wrote about here). So, as you can see, this is very much a documentary informed by familiar voices.